Karan Johar has announced an upcoming project with Amitabh Bachchan, Ranbir Kapoor and Alia Bhatt in the lead and helmed by Ayan Mukerji. Titled Brahmastra, this fantasy adventure trilogy will hit the screens on August 15, 2019. Ranbir Kapoor and Alia Bhatt to star with Amitabh Bachchan in Karan Johar film. 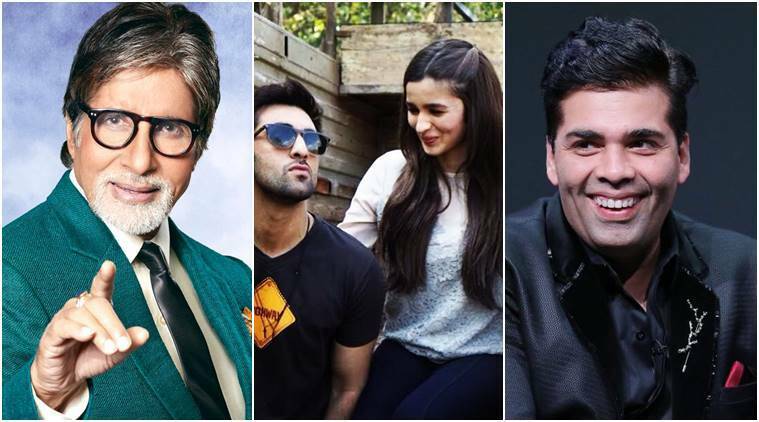 Making Big B’s 75th birthday extra special, filmmaker Karan Johar has announced an upcoming project with Amitabh Bachchan, Ranbir Kapoor and Alia Bhatt in the lead. Titled Brahmastra, this fantasy adventure will hit the screens on August 15, 2019. Ever since reports about Alia Bhatt and Ranbir Kapoor being roped in for a movie together emerged, fans have been waiting for more details about the project with bated breath. And now, putting all rumours to rest, Karan Johar has revealed the film’s title – Brahmastra. Earlier rumoured to be titled Dragon, this fantasy adventure, helmed by Ayan Mukerji, will be one of Bollywood’s rare trilogies, the first of which will hit the screens next year.